It’s time to switch off and go to bed. But you’re still itching to play your favourite game. Well, as you’re in bed and you need to wind down, why not read your favourite game instead? 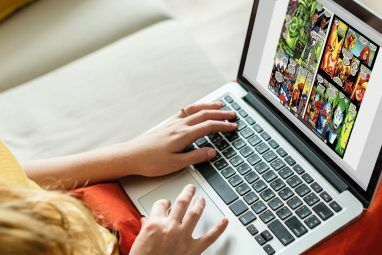 Many top titles have been adapted from your PC or games console into comic book form, with results that are invariably good, if not always as immersive as the original. With its humorous take on the space western genre and refreshing combination of RPG and FPS, the Borderlands games have proven one of the most successful games series ever. Now it’s time to get some background into the stories. For the millions and millions of fans of the smash-hit video game Borderlands, a lingering question exists: how did the Vault Hunters get on the bus with Marcus in the first place? Find out how Roland got on the bus with Mordecai, Lilith, and Brick in this exciting look at the soldiers of the Crimson Lance and what made him leave their ranks and search for the Vault. The first collection was followed up by a second volume, set for release in 2015. This isn’t related to the new pre-sequel Borderlands game Borderlands The Pre-Sequel Review - Is it The Game For You? Borderlands The Pre-Sequel Review - Is it The Game For You? Does Borderlands The Pre-Sequel stack up the other games, or is it just a cash in on the franchise's good name? Read More , but the timing of the release should see it do well. Based on the 2007 action RPG of the same name for Windows, set in a post-apocalyptic London, is the comic book adaptation running to four issues by Ian Edgington and illustrated by Steve Pugh. This particular adaptation adds a slightly different aspect to the game, but while the narration and dialogue might lack the energy of Pugh’s artwork, it’s certainly worth checking out. Copies of the collected graphic novel can be found on Amazon alongside individual issues. Released through Dark Horse Comics, this edition was included in the Collector’s Edition release of the game. As well as the comic series, a novel trilogy was also published, written by Mel Odom. Probably not the most obvious game franchise to be converted into a graphic novel, Street Fighter is best known for its focus on fighting and a range of characters who could potentially all win, presuming you knew the correct combinations for their best moves (or were happy to mash the keypad with neither prejudice nor skill). 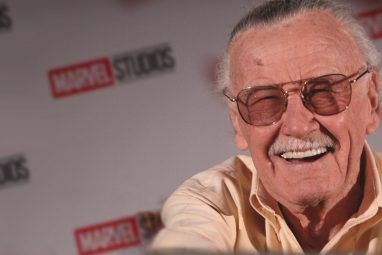 First launched in 2003, the comic series which currently numbers 54 issues offers a detailed, character-driven narrative to the events in the games. It’s an interesting approach, one that has resulted in a popular series that ran until 2010 and was revived in 2013. 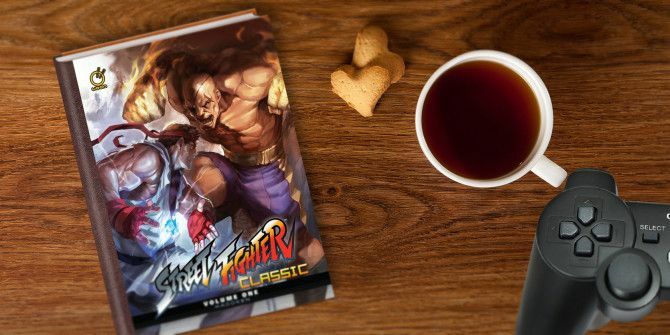 The best place to start with this series is at the beginning, and you can pick up Street Fighter Classic Volume 1: Hadoken on Amazon. Not one of the Marvel mutant teams from the 1980s, but the group of heroes who starred in a pair of superb real-time tactical role-playing games from 2002 (Freedom Force) and 2005 (Freedom Force vs. The Third Reich). Lead by The Minuteman with other Marvel and DC Comics pastiches littered throughout, an adaptation of the first game was released as a comic in 2005, partially as promotion for the sequel, through Image Comics. Extremely difficult to get hold of (although you can find them on eBay from time to time), the Freedom Force series of six issues features Jack Kirby-style artwork (like the game itself) from Tom Scioli and a sextet of stunning covers. The Freedom Force games are easier to get hold of, usually via Steam 10 Incredible Steam Games You Can Buy For Under $10 10 Incredible Steam Games You Can Buy For Under $10 Read More . Desperate to play Halo on your PS4? Well, tough: you can’t. What you can do, however, is enjoy the Halo universe through the medium of sequential art, or comics. Not content with being spun off into a pair of feature films, the Silent Hill series of terrifying games 4 Video Games That Will Actually Terrify You [MUO Gaming] 4 Video Games That Will Actually Terrify You [MUO Gaming] Video games are able to capture much of the emotion and feeling that comes with movies and other forms of entertainment. 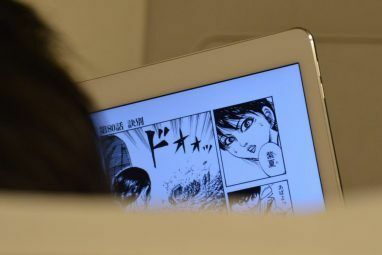 That being said, video games always seem to struggle with making people laugh and... Read More created by Keiichiro Toyama have also found their way into graphic novel format. First launched in 1999 on the original PlayStation, the series has continued across formats including PS Vita, Xbox 360 and Nintendo Wii with a further game expected for the PS4 in 2016. Running from 2004-2008, the Silent Hill comic book series was written by Scott Ciencin with artwork by Ben Templesmith, Aadi Salman, Shaun Thomas and Nick Stakal, and published by IDW. A collected works can be purchased from Amazon and all of the comic book series are available from ComiXology. You might well expect a Legend of Zelda comic book series to be as sprawling as the game series; you’d be correct. Since 1990 Manga adaptations of the RPG series have been regularly published, with series often named after and based on the events of the latest instalments of the long-running game franchise. Akira Himekawa, Yuu Mishouzaki and Aturu Cagiva have all contributed stories and adaptations to the comic series, which is as much a part of the Zelda franchise as the games. Be warned: this is not a series of comic books that you can dip into. With over 20 years’ worth of stories and adaptations, you will need to tread carefully lest you end up completely overwhelmed! Various collected releases are available from Amazon. BioWare launched their Dragon Age series in 2009 with Dragon Age: Origins, which continued through 2011’s Dragon Age II and has just seen a third installment in Dragon Age: Inquisition Should You Buy Dragon Age: Inquisition? Should You Buy Dragon Age: Inquisition? Can Inquisition carve out a unique identity among all of the RPGs it strives to imitate? Read More . As well as these games, a collection of spinoff media has been released, of which web comics and printed comics have been a key element. Among the most interesting are Dragon Age: The Revelation by David Gaider, which was released on the BioWare website in 2010, and the printed releases; a six part series from IDW and a trio of graphic novels, with Orson Scott Card contributing to the series. These print published graphic novels can be ordered through Amazon while IDW’s series is available on ComiXology. Survival horror game series Dead Space first hit PCs and consoles in 2008 and, like other games featured here, has spawned various spinoffs including a series of comics and graphic novels. As each instalment of the game has expanded the 26th century setting and developed the survival horror narrative, so the comics and graphic novels have sought to expand the context and tell new stories set before, during and after the events of the games. Ian Edginton and Antony Johnston are among the authors of the graphic novels (Johnston also wrote the 2008 comic series prequel to the Dead Space: Downfall animated film, one of several animated movies based on video games 11 Animated Films Based On Video Games [Stuff to Watch] 11 Animated Films Based On Video Games [Stuff to Watch] Live action adaptations of video games are usually pretty dire. The original Street Fighter film is a fine example of a the motion picture industry getting it wrong and even recent, modern adaptations like Doom... Read More ) that have been released by Titan and IDW and are all available for purchase online, such as from Amazon. We’ve given you ten of our favourite comic books based on video games. The true list, however, is much larger. Did we miss something obvious? Is there a video game themed graphic novel, comic book series or even one-shot that we somehow overlooked? Now is the time to let us know. Leave us your suggestions in the comments. YouTube Music Is Now Free on Google Home SpeakersWhat Is the Best Video Player for Android? Dead Space: Downfall was a great animated film. Definitely worth a watch! Thanks for the info on the comics! Valve has made some pretty great comics for L4D, TF2 and Portal. There's a hardcover collection of them called "Valve presents: The Sacrifice and other Steam-powered Stories"
Thanks Slashee, I'm going to check that out (http://www.amazon.com/Valve-Presents-Sacrifice-Steam-Powered-Stories/dp/1595828699). "Not one of the Marvel mutant teams from the 1980s..."
There was also a DC Comics super team by that name in the 80s, who lived on an alternate Earth where the Nazis won WWII.